Valentine’s Day is right around the corner and if your house is as crazy and chaotic as mine it might have totally snuck up on you. 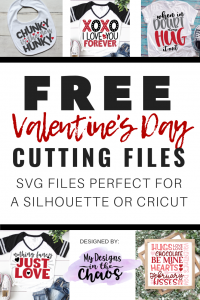 Today I have some adorable Free Valentine’s SVG files for you to use with your Silhouette or Cricut cutting machine to alleviate the stress of finding something cute for the upcoming holiday. We do request that if you are selling the items they be things that you have made yourself. We do not allow our designs to be sold on print on demand shops or be digitally distributed (FB groups etc) Feel free to direct people to this link to directly download the files for themselves. PLEASE NOTE THAT THERE ARE AFFILIATE LINKS IN THE POST BELOW. THIS MEANS THAT IF YOU PURCHASE SOMETHING THROUGH OUR LINK AT NO EXTRA COST TO YOU WE EARN A SMALL PERCENTAGE OF THE SALE. This subway art just has me feeling all the feels for Valentine’s Day. Normally I’m not super mushy… I’m the weird person who when someone goes in for a hug, I awkwardly put out my hand for a handshake… yup you know the one… that’s me. But this design I think strikes a good balance between cute, themed, and getting me in the mood for all things pink. I can see this being adorable on a farmhouse frame as pictured (check out how to make those types of frames here) or even in one solid color on a reverse canvas. If you are making the sign my favorite stencil to use for little to no bleeds is Oramask. Just make sure that the frame is well sanded and that the paint is 100% dry before applying the oramask. 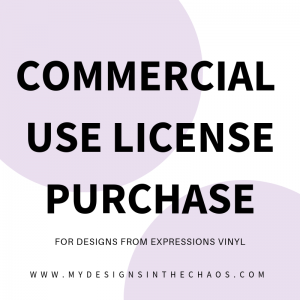 Check out all the different type of vinyl and when to use what type over here. There is something about red and black that just looks sharp. I can see this design just really popping with this red glitter heat transfer vinyl on a shirt similar to the one pictured below or even one like this with the buffalo plaid. Also just for reference, the white dots in the design on the letters are cut outs of the design and not a layer on top of the letters. I don’t know about you but I think I need this design on a shirt after the holidays! This design just had me cracking up and I can see a little one just rocking it. Grab a bib to put it on as pictured here. When applying this on a bib or even on something for a baby to wear, make sure and use a pressing pillow underneath. Otherwise it won’t evenly press because of the seams and the HTV won’t stay adhered well through the wash. Grab a set of pressing pillows here or learn how to make your own on the cheap here. I absolutely love this saying. Sometimes that’s all we need is just love. Sure notes, candies, and flowers are nice but at the end of the day what we all really need is love. I can see this design being great for not only Valentine’s Day but year round. I can even envision putting a year or last name on the bottom for a cute wedding gift. How do you see yourself using this design? Remember if you are putting this design on a shirt make sure to use HTV and not adhesive. Learn more about the different types of vinyl here. This design is a shout out to those of y’all who are huggers… and I know there are a bunch of y’all (my husband included). Even though the design is pictured in several different colors of HTV don’t feel intimidated. You can totally get it lined up exactly like it is pictured by using the method that we did here on this Mardi Gras shirt. It would also be super cute though all in one color… maybe a light pink on a black or grey shirt for the holiday? Maybe Valentine’s Day isn’t your thing. Don’t worry we have you covered. Head over to this post and check out our Anti-Valentine’s Day free SVG files. They had me cracking up as I was making them. I know you are sure to love them as well. We also have a ton more Valentine’s Day designs in the shop here. Before you download the files below please take a second and pin an image or two from above. This helps us continue to provide free quality content for you. Thanks so much! Make sure to post your finished projects over in our FB group or on our FB page. We love celebrating your success and creativity when the designs come to life! If you have an idea for a theme of designs you would like to see make sure and let us know! While we don’t take custom orders we always love working on suggestions from you… our chaos community. Happy Crafting, Cutting, and Chaos. THANK YOU. I have a Cricut Maker that I have not used yet. I’ll try one of your designs. Thanks so much. I always look forward to what you will come out with next. Keep up the good work. Thank you so much!! Beautiful work!! Thank you for sharing your amazing designs. How do I share pictures of projects using your designs with you? Thank you for having these beautiful works of art free! Live them! Love your work. Thank you for sharing . I love the when in Doubt, Hug it out! One can never give too many hugs!